Who doesn’t like a beautiful clear face? After all it is our face which makes a first impression. I have met people who have come to me and said that during interviews and formal meetings their acne or pimple ridden face played a spoilsport. It’s sad but true, as many people out there still judge a book by its cover. Young girls and women often suffer from an inferiority complex due to acne and look for a quick fix from cosmetic products. Today I will share with you nine sure-shot easy home remedies for acne and pimples which will be light on your pocket and will give you a long lasting natural solution to your problems. And the best part - you need not worry of any side-effects. - Mix the ingredients in a bowl. - Apply the mixture on the whole face with cotton. If you feel a great deal of burning sensation, add half a teaspoon of rose water. - Leave the mixture on for 30 minutes. - Wash it off with cold water and pat it dry with a clean towel. Use this tango for 2 weeks regularly to see results. - Rub nutmeg on hard stone or hard surface with milk to make a paste of it. - Apply the paste on pimples. - Leave it till it dries off. - Wash you face with lukewarm water and pat it dry. Apply this paste on pimples twice a day for a week for a clearer face. Neem (Azadirachta indica) is considered as nature’s medical store since all its parts have some or the other health benefit. Like nutmeg, you can make a paste of neem’s outer cover and water and apply on pimples for clearer skin. Even neem leaves have antibacterial properties, which can used for clearing scar marks and acne. I know you have read it and heard it from every beauty expert but take my word drinking 8 glasses of water goes a long way in treating acne and pimple issues. Water flushes out all the waste from the body and helps in beautifying you from inside. 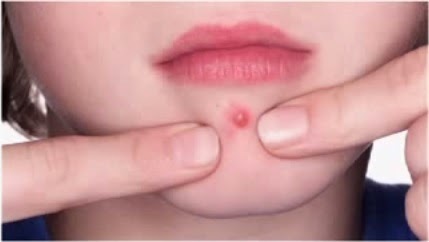 5) Don’t squeeze or pick on your acne and pimples. I have seen young girls squeezing their pimples in order to clear their faces. STOP IT if you do the same, you are not squeezing pus out of acne but you are squeezing life out of your face. Squeezing acne doesn't lead to a clearer face but leaves behind black spots and marks which don’t go away easily and look more hideous. Also while squeezing, you rupture the membrane below the outer layer of the skin and this causes infection to spread resulting in more pimples and acne. As I said about water, beautifying and cleansing your body from inside goes a long way in clearing your face of any blemishes or spots. Include a variety of fresh fruits, vegetables, nuts and seeds in your daily diet. They feed your skin with the necessary nutrients and keep it healthy. It’s time for you to come out of your air conditioned rooms and let your skin breathe some fresh air. Exposing your skin to morning sun for 10 minutes won’t tan your skin, instead it will bring back the glow which no cosmetic product can ever give. Fresh air reduces stress and calms you down. Stress is the biggest culprit of acne and controlling your stress levels should be your top priority. Try yoga, breathing exercises and meditation in order to calm your nerves. 9) Reduce the use of makeup and cosmetic products. By overloading your skin with harsh chemicals we strip our skin of its natural oils. In order to compensate this loss, the body produces more oil which blocks the pores and can lead to acne. Pimples and Acne are natural and everyone suffers from them once in a while, so you need not worry about it. Severe outbreaks can be treated by natural home remedies which are not too harsh on your skin and give long lasting results. Do share your thoughts about the remedies I have just discussed with you. Coconut Oil is probably the most under-rated beauty product lying on the shelf of your house. Today I will disclose 4 amazing secrets of coconut oil which will make you trade many of your high-end beauty products for this low-priced natural wonder. It is the best natural moisturizer and is also suitable for people with extreme dry skin. Coconut oil creates a protective barrier above the skin which traps the natural moisture of body and stops it from escaping. Continual application of this oil also reduces roughness and makes your skin smooth. It has natural anti-oxidants which reduces wrinkles and lightens age spots. 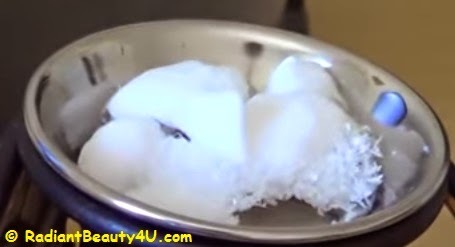 Coconut oil is a natural sunscreen of SPF 4 grade. 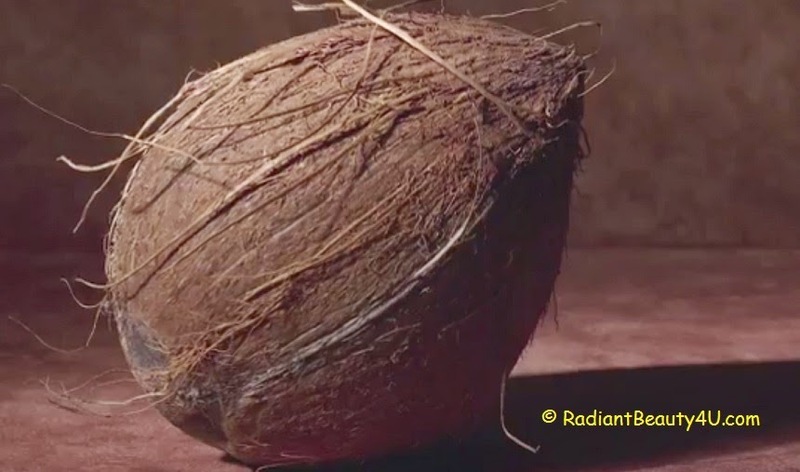 Bottom line: Coconut oil can replace any moisturizer or body lotion and is a decent sunscreen. This DIY face mask will reduce your acne and blemishes and will give a natural glow. 3) 1 table spoon lemon juice or orange juice. 1) Mix all the ingredients well in a bowl. 2) Wash your face with warm water and apply the mixture on face with the help of cotton. 4) Wash off the mixture with the help of lukewarm water. 5) Pat dry your face with a clean towel. Among the variety of oils available in market, coconut oil is considered to be one of the best for treating all the hair problems women face. In summers, it gives a cooling effect while in winters it keeps dandruff at bay. These two DIY remedies for hair treatment will help you solve your hair issues in no time. 1) 50 g coconut oil. 1) Mix the ingredients well, camphor will get dissolved in oil. 2) Wash your hair and let them dry. 3) Apply the mixture on your dry hair especially at scalp. It will get absorbed in half an hour. Beauty tip: Do this treatment twice in a day - once after washing your hair and then before going to bed at night for best results. 1) Squeeze lemon in a bowl and add oil to it. Mix it well. 2) Apply the mixture on scalp at night. 3) Wash it off with warm water in the morning. In today's world of stress and tension, you need to take some time off and pamper yourself a bit in order to recharge your batteries. A good head massage goes a long way in calming oneself. Take a small amount of coconut oil and apply it on forehead and behind the ear before hitting the bed for a stress-free, sound sleep. There have been times, when we have no ointment handy to apply on the wound, then few drops of coconut oil will do the trick for you. Coconut oil has antibacterial and antiseptic properties which helps to repair tissues. It is especially good for small wounds as it doesn’t leave any spot on the skin. Do let us know your experience with this natural beauty product.